The Republic of Ghana is an independent republic in West Africa. Ghana is bordered by Burkina Faso to the north, Togo to the east and the Ivory Coast to the west. The Gulf of Guinea of the Atlantic Ocean lies to the south of Ghana. Ghana is a member of the Paris Convention and the Madrid Protocol, but there are as yet no implementing provisions. Ghana is also a member of the WTO/TRIPS. Provision is made for the registration of trade marks for goods and services and for collective marks. Ghana is a member of the Paris Convention, the PCT, ARIPO (Harare Protocol) and the WTO/TRIPS. Patent protection is available by way of a national filing, or via an ARIPO or a PCT application designating Ghana. Ghana has implemented the Harare Protocol (which regulates patent and design filings in ARIPO) in its national laws, thereby giving valid patent protection to applicants seeking to obtain a patent via an ARIPO application. Ghana has also enacted provisions to implement the PCT, thereby providing valid patent protection to applicants of international applications designating Ghana. Ghana is a member of the Paris Convention, the Hague Agreement, the ARIPO (Harare Protocol) and the WTO/TRIPS. Although Ghana has an Industrial Designs Act no 660 of 2003, the implementing regulations have not yet been passed. Accordingly, currently the Registry only accepts and processes applications relating to textile designs. All other designs are not registrable in Ghana by way of national filings pending the implementation of the regulations. Non-textile design applications filed with the Registrar’s office are only accepted for onward transmission to ARIPO for processing and registration by the ARIPO office. Since Ghana has acceded to the Harare Protocol of ARIPO, design protection can be obtained in Ghana via an ARIPO application designating Ghana. Ghana has also acceded to the Hague Agreement for the international registration of designs. The 2003 Act does not provide for the implementation of the Hague registration system, so that the position in regard to such registrations is not clear. national registration in Ghana (for textile designs only). As indicated above, registration under the Hague Agreement is uncertain. 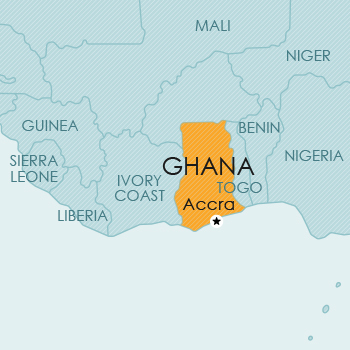 Ghana is a member of the Berne Convention, the WIPO Copyright Treaty and the WTO/TRIPS. Copyright does not extend to ideas, concepts, procedures, methods or other things of a similar nature. Currently, no legislative provision for plant breeders’ rights or other sui generis protection for plants is available in Ghana.